Late last year we were at the Goodwood Revival (a yearly pilgrimage!) 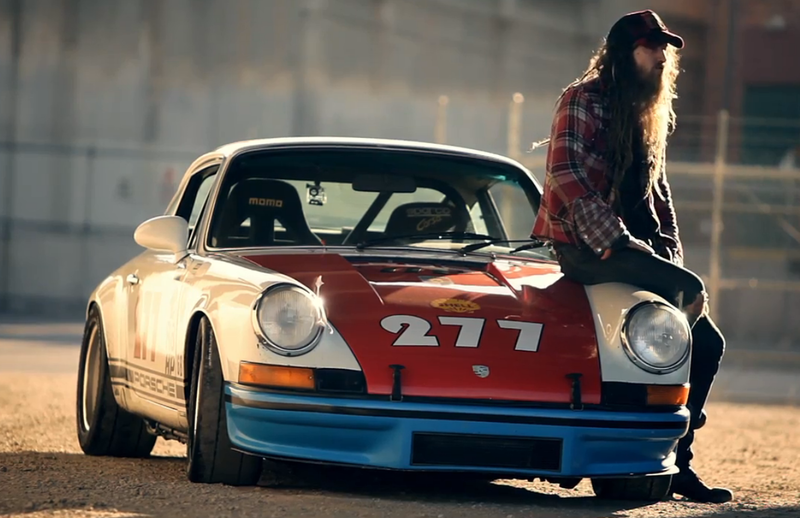 and we had the pleasure of meeting Magnus Walker, the Urban Outlaw. The man epitomises the essence of what we’re all about here at Life & Engines – he lives and breathes his obsession with Porsche. As a fellow Brit but now living in LA he has been able to remain a ‘normal bloke’ who has made his own luck in life and now has found Global fame due to his love affair with Porsche; particularly the iconic 911. Not satisfied with the car ‘as built’ be has put his own twist on the 911 with his creative talent, engineering skill and painstaking attention to detail. But this man is more than just an enthusiast – he’s a successful racer, restorer and collector of the Porsche 911. We liked him straight away and found him a ‘like minded’ fellow 911 owner – we have our own Porsche 911 ‘backdate’ that has it’s own outlaw touches so we immediately had a lot in common. What is a 911 outlaw… well Magnus’ famous 911 is a blend of 911ST and 911R enhanced by his own signature features such as the louvred engine cover. The movement is nothing new, there has been the invite only GruppeR club where there has been the ‘hot rod’ Porsches community but Magnus has taken it to a whole new level. Mr. Walker we salute you and raise our glasses in a toast to “get out and drive”. CheeRS!